Midst medieval buildings. Pink tablecloths beckon. Dripping with quaintness and serenity. 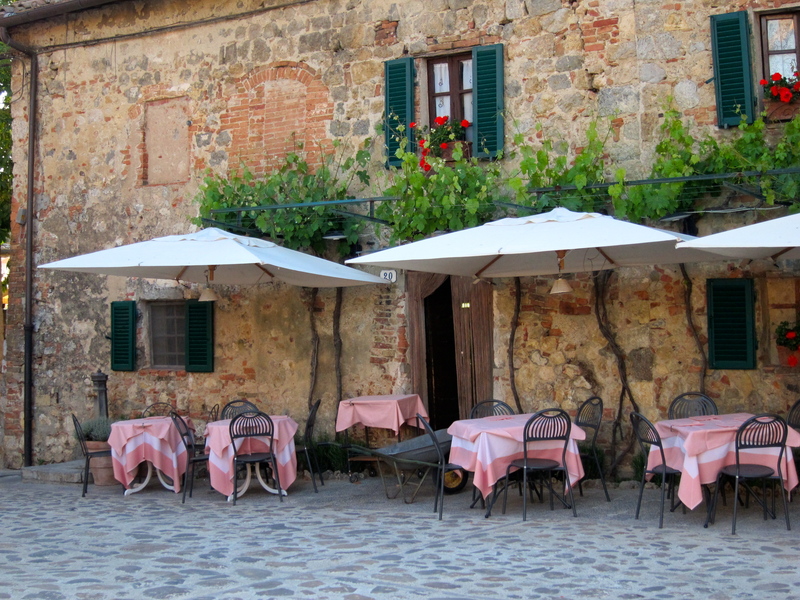 A Tuscan restaurant in Castello di Montereggioni in the Province of Siena. Words are not necessary. ← Ode to Italian Undies. I love the pink tablecloths against the stone. Your pix are great, Beth. Gorgeous. Just gorgeous! I wish I could jump into that picture like Mary Poppins and sit down to a plate of pasta! The way all these colors naturally came together is amazing. I have actually eaten there…it was excellent. Wonderful! We ate at another restaurant in the same location….